Can be used with any standard 3" ventilation hose. Features flexible hose flange that is screwed ont..
For 3" hose. Resistant to gasoline, moisture and any form of marine rot. 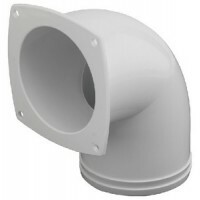 Installation hole diameter ..
White ABS vent cap with vent hose adapter that mounts to deck. Vents snaps into place on adapter. Si..
White cycolac plastic with white acrylic cap to prevent cracking or discoloring. Size: 7" L x 6-1/4"..
PVC. Ideal for areas where vent will be under foot or foul lines. Size: 4-1/2" x 5" x 2-1/4".. 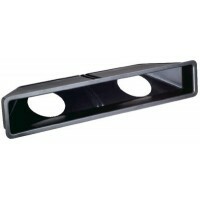 Designed for attaching ventilation hose to deck for use with Beckson "C" series vents. Description: .. Keeps boat dry all year. Draft free. Allows light below. Powered by slight breeze, will automaticall..
White cycolac plastic with white acrylic cap to prevent cracking or discoloring. 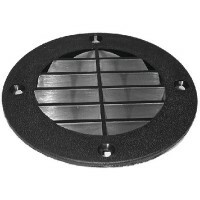 Size: 7" L x 5-1/2"..
Euro vent black Color: Black..
Chrome plated brass. Screw size is 6 R.H. 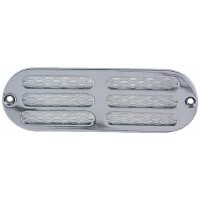 Size: 2-1/2"..
Chrome plated brass. Screw size is #4 R.H. 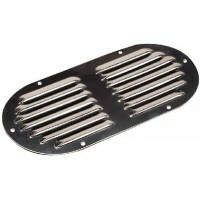 Size: 3" x 3"..
Chrome plated brass. Screw size is 6 R.H. 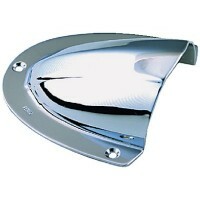 Size: 3-1/4"..
550: Chrome plated brass. 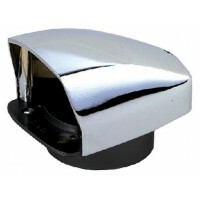 For #8 screw.1271: Chrome plated zinc alloy with anodized aluminum expande..
Chrome plated zinc cowl with black plastic base. 3" duck threads into neck. Hose clamps not required..
Chrome plated brass. Screw size is 6. 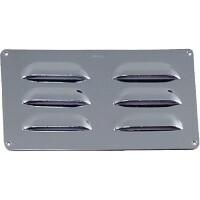 Cut Out: 1-5/8" x 2-1/2"Base: 4" x 3-3/4"..
Chrome plated. 3" duct threads into neck. Hose clamps not required. 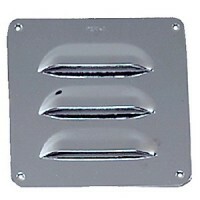 Mouth opening is 7 square inches..
Chrome plated brass. Screw size is #4 R.H. 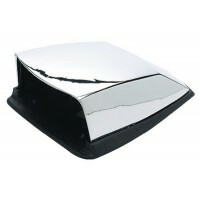 Size: 11" x 3-1/2"..
Chrome plated brass. Screw size is #4 R.H. 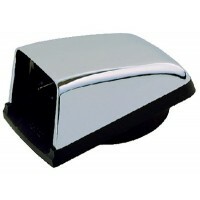 Size: 8" x 3"..
Chrome plated brass. Screw size is #4 R.H. 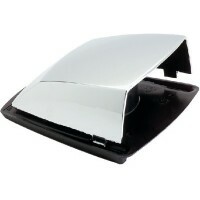 Size: 5-1/2" x 3"..
Dip molded PVC.Includes snap-on deck plate. Size: 5" H x 3" DiameterColor: White with red interior..
Dip molded PVC.Includes snap-on deck plate. Size: 7-3/4" H x 3" Dia.Color: White with red interior..
Dip molded PVC.Includes snap-on deck plate. Size: 5-7/8" H x 4" DiameterColor: White with red interi..
Dip molded PVC.Includes snap-on deck plate. Size: 9-1/4" H x 3" Dia.Color: White with red interior..
Dip molded PVC.Includes snap-on deck plate. 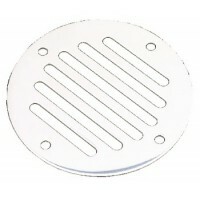 Size: 5" H x 3" DiameterColor: White..
Dip molded PVC.Includes snap-on deck plate. 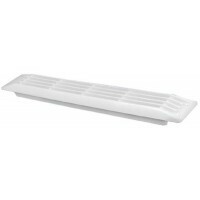 Size: 7-3/4" H x 3" Dia.Color: White..
Dip molded PVC.Includes snap-on deck plate. 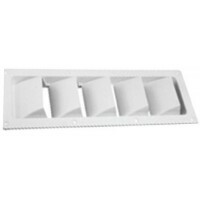 Size: 5-7/8" H x 4" DiameterColor: White..
Dip molded PVC.Includes snap-on deck plate. Size: 9-1/4" H x 3" Dia.Color: White..
Injection molded. Ventilator may be used with collector boxes 331293 and 332398. Bulk. Cut Out: 3-5/.. Stainless with a plastic base. Use with 3" hose and #8 flat head fastener. Size: 5-7/8" L x 4-7/16" ..
Injection molded ABS. Overall face dimension is 3-5/8" x 3-5/8". Hose/hole size 3". Carded. Fastener..
Injection molded ABS. #8 FH fastener. Hose Size: 3"A: 2-13/16"B: 2-7/16"C: 3-5/8"Color: Chrome..
Injection molded ABS. #8 FH fastener. Hose Size: 4"A: 3-9/16"B: 1-3/8"C: 4-5/16"Color: Chrome..
Injection molded ABS. 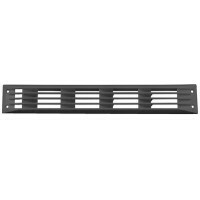 Works in conjunction with Flush Thru-Vent part numbers, 337326, 337316 and 337..
Abs hose vent 4 round - blac Hole: 4"A: 2-15/16"B: 1-3/4"C: 4-5/8"Color: Black.. Stamped 304 stainless steel. Carded. 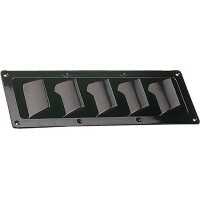 Size: 6-3/4" L x 2-3/8" WFastener: #8 RH..
Injection molded ABS. Dimensions: 2-5/8" x 17-1/2" L x 2-5/8" H x 7/16" D Cut Out: 1-7/8" H x 15-1/2.. Stamped 304 stainless steel. Carded. Size: 5" H x 4-5/8" WFastener: #6 RH.. 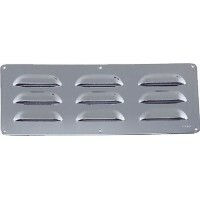 Stainless louvered vent - oval Size: 9-1/8" L x 4-5/8" W.. 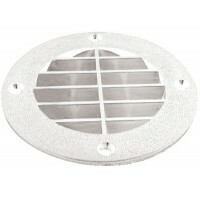 Stainless round louvered vent- Size: 2.02 sq. in.A: 5"B: 4-1/8"C: 4-1/2".. Die cast zamak with chrome finish. Black polypropylene flange. Pre-drilled for three screws. Size: 5.. 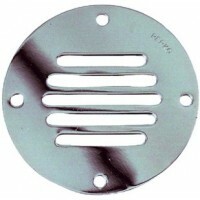 Round stamped stainless steel vent allows ventilation to confined areas. Will cover holes up to 2-1/.. Designed with louvers to eliminate see-thru look and deflect rain. Designed with a flange molded int..